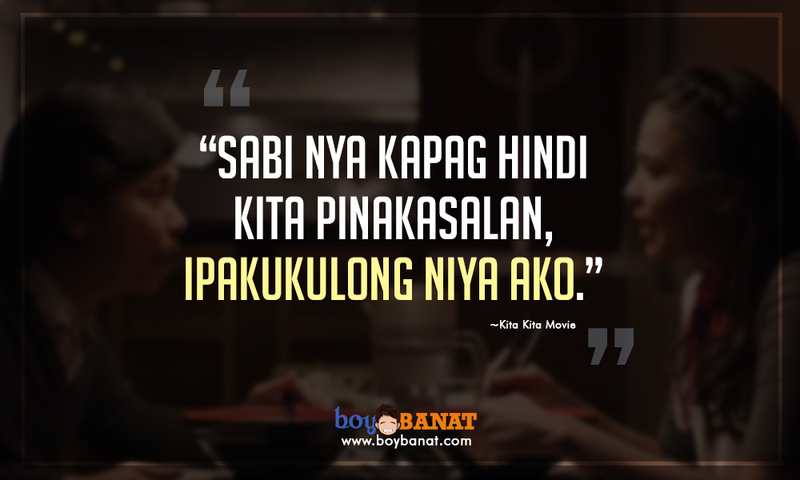 Kita Kita Movie is a romantic comedy movie film starring by actress Alessandra De Rossi and comedian Empoy Marquez. The movie is about the two Filipinos living and who've met in Sapporo, Japan. Alessandra played a tour guide and with eventually suffer a temporary blindness, while Empoy who just lived across Alessandra's house with always looking and secretly fall in love with her. 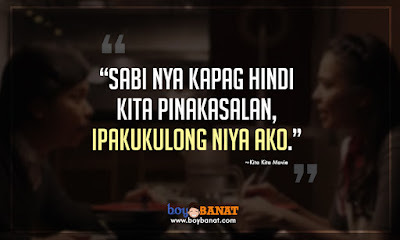 Suprisingly, Kita Kita Movie really hits box office which now earns a whopping P250 million on its 3rd week in cinemas. “Nagluto pala ako ng turon. Matamis. “Noong nakakakita ka, ‘di mo ako nakita. “Actually, hindi ako nakatulog kagabi. “Nagugutom ako kapag nakarinig ako ng bell. Isang beses lang ako nagmahal. 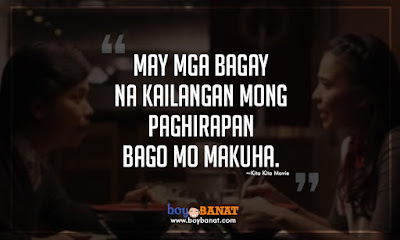 If you have you own favorite Kita Kita Movie Quotes and Banat Lines, feel free to share it with us and we will be very glad to have it posted here. 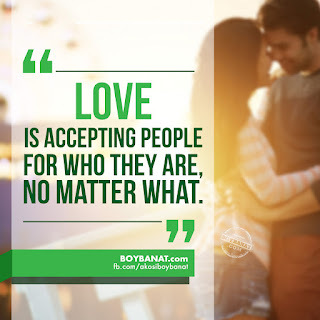 For more reads, just log on to www.boybanat.com or visit Boy Banat Official Facebook page (/akosiboybanat) for the latest features.